The HFA single acting failsafe lock ring aluminium range offers the benefit of significantly reduced weight compared to conventional steel cylinders as well as combining all the versatility and efficiency of hydraulic power with the safety of mechanical load support. Ideally suited for applications requiring sustained load holding for extended periods, such as bridge support work, the HFA cylinders feature a single acting, spring assisted return piston threaded throughout its stroke length, to suit the threaded mechanical load holding lock ring. The HRA double acting high tonnage aluminium cylinder has been specifically designed to offer heavy duty lifting solutions for applications where weight and portability are of prime importance. The double acting design of the cylinders offers higher work output with improved performance and efficiency. 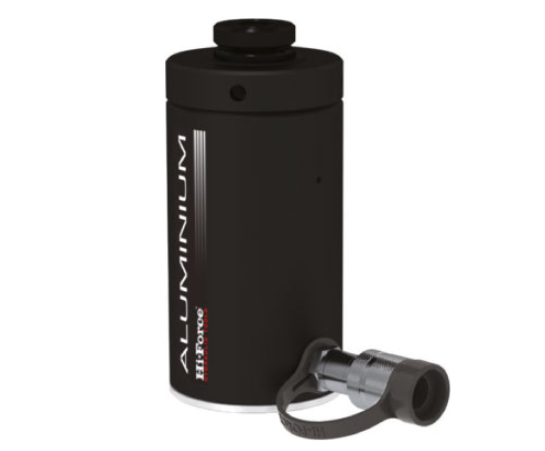 For more information on these lightweight aluminium cylinders click here or for more details contact us today.